Back in a day, the boaters that decided to equip their boats with monitoring systems were the exception. They were also facing extremely high costs for services that were difficult to install and lacked precision and quality. With today’s technology and the world in a ‘monitoring mood’ it seems like the right time for fleet managers and private boat owners to jump on the train and reap the many benefits. To give you the magnitude, there are 11.1 billion sensor connected devices in 2018, more than the number of mobile devices, and this trend is about to explode to 20.4 billion connected devices in 2020. With the yachting sector being by definition a remote and risky business, it is crystal clear that the possibilities of this technology are endless and at surprisingly lower cost than ever before! The fleet managers that will stick only with the traditional methods will be a step behind the ones who adopt monitoring and miss a great opportunity to obtain a competitive advantage. 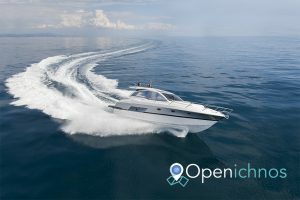 The good news is that many boats have already some sensors and monitoring systems on board so it is even easier to jump in and, apart from tracking, to monitor and control your boats literally from your palm. In a nutshell, remote vessel monitoring involves a device on board that collects information from sensors and controls and then is transmitted ashore so you can easily view it in your dashboard (more on this in our tracking article). The device is able to send alert messages via email or SMS to the boat owner and some systems are even allowing communication from the owner to the boat in order to perform actions like turning the air conditioning on or even turning off the engine. There are a variety of monitoring systems to choose from, from three to four sensors to cameras and high-end systems that measure everything on board. Innovation is constantly changing the game with plug & play one-click solutions like Openichnos 100% energy autonomous satellite device. It goes without saying that if you get a device with satellite coverage you will have always unobstructed control over your boat and total peace of mind. The choice depends heavily on the specific needs of the owner and his budget and imagination. Battery Prevent battery damage by being alerted when its voltage drops a threshold you have specified. You can monitor all boat engine & service batteries. Bilge Pump. You can keep track of the pump on and off times and you will get an alert if the pump starts operating. High Water. You get an alert once it is triggered. The sensor can be a simple float switch. More on that in the following section. It is important to be able to prevent theft and of course to find your boat in the unfortunate event that it is stolen. Wired doors & windows. If the boat’s door or window opens while you are not there you get to know instantly. This is done with a switch on the door or even by installing motion detectors in the interior. Code to start engine. In case the intruder bypasses the motion sensors, pressure switches and any cameras and manages to board the boat, you still can prevent them from leaving the dock by requiring a code prior to being able to start the engine. Any time the engine is started a message is sent notifying you. The term is now common within the industry and it is a geographical area where your boat is allowed to be in, something like an invisible electronic fence. If the boat goes out of this area you get an alarm message. So, for example, when the boat is moored you can set a perimeter around it or at the outter limits of the marina so if gets stolen you will get to know in a second. Also with geofencing you can set up an anchor alarm. If your boat starts to drag the anchor, you will be immediately notified. Another use is that you can define dangerous areas to avoid, so if the boat is rented to tourists or even if your kids are on it you can know when are heading there and take action. With the current technology, you are able even to remotely shut down the engine and save the boat and people on board. Many owners use it even during the time that their boat is parked out of the water, either in their basement or in a parking space. The latest developments in this technology allow you to communicate back with the boat and it has become very simple to control all the systems that you are monitoring remotely by using electronic switches. For example you can control the boat’s onboard environmental conditions such as the air condition temperature and to turn on/off the lights from a distance. Also, as already mentioned, you have the ability to shut down the engines, start a generator if shore power fails thus saving your fridge supplies and even to turn on the spreader or deck lights to find which one is your boat in a crowed marine after a night out. NMEA 2000 is a modern plug-and-play communications standard used for connecting the marine sensors and display units within your boats. New boats have it by default and it opens many new possibilities for what an owner can monitor. Let’s just say that NMEA 2000 is a monitoring “shortcut” since you don’t have to install any sensors at all. Its use allows the owner to exploit the existing equipment and integrate with other onboard systems as well. Almost any parameter that can be measured can be monitored and if an owner has any extraordinary needs he can always extend it by adding more sensors. In another article we talked about how to reduce your maintenance costs. Here we can focus on how monitoring the boat’s systems can help you on being proactive and save money and time from maintenance. As mentioned above, prevent your battery from depleting and prolong their life. If you charter your boat notify people on board for a battery drop so they can start the engine and save your battery from running out of power amidst the sea. Engines & generators. When monitoring your engines there is room for real time problem solving; if you have trouble while at sea you can contact the manufacturer who in turn can remotely read any error codes from your engine and help you resolve them. This system can work with generators as well. This is possible either with some companies products like Caterpillar’s GPLink or via the NMEA 2000. High water alarm. There have been instances of owners that have received high water alerts while on board and upon further investigation, leaks were found and repaired before they could cause extensive damages. Insuring your boat costs roughly 0.93%-2% of its value. A less obvious, but rather important, benefit of remote boat monitoring is that you can get a discount on this amount. Insurance companies are now offering better prices to the owners whose boats can be remotely monitored and even offer extra discounts for the boats that have alarms regarding high water and fire alarms. All you have to do is to look for the companies that offer such discounts. Why not to cover the cost of monitoring by reducing your fixed insurance costs? React on time. Getting real-time notifications for anything that is dangerous, damaging or out of the ordinary so you can act instantly and save the day. Save your sails. Knowing the wind speed throughout the boat’s journey it becomes easy to know when the sails were damaged and if it was due to the weather or from the client’s careless use. Clients in such cases usually blame sudden and unpredictable whips of wind, causing problems to the management company. But what can they do if they get an undisputted wind report that shows bad use on their behalf? Smooth your check in/out process. Get to know when the boats return to base so you can arrange all the works, crew and services that need to be done without wasting time. A fleet control room on your phone. Control everything in an easy-to-use Openichnos 360° dashboard. Having all your boats location and their insturment measurments on one screen saves you time so you can focus on the important management tasks first. The type of coverage, ie. GSM or 100% Satellite. Although the point of tracking & monitoring is to secure your very expensive asset, there are some owners that choose the cheaper and unreliable GSM, risking to lose sight of their boat when they need it the most. Cost for these data plans varies depending on the country you are in. 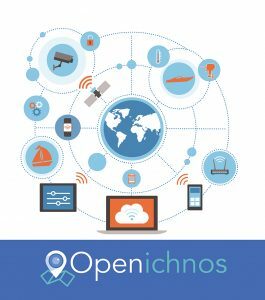 Openichnos, realising the need for 100% coverage, and after extensive R&D on this, introduces a new, innovative hybrid device version that offers you Satellite coverage at minimum cost. The complexity of the device and sensors that need to be installed. There are high-end systems in the market that monitor almost everything on board and can cost thousands of euros plus the expenses of professional installation. The good news is that Openichnos has built for you an all-in-a-box, plug & play, cutting edge device that offers excellent performance, is designed to cover everything you will ever need and is a perfect fit for private owners and fleet managers. 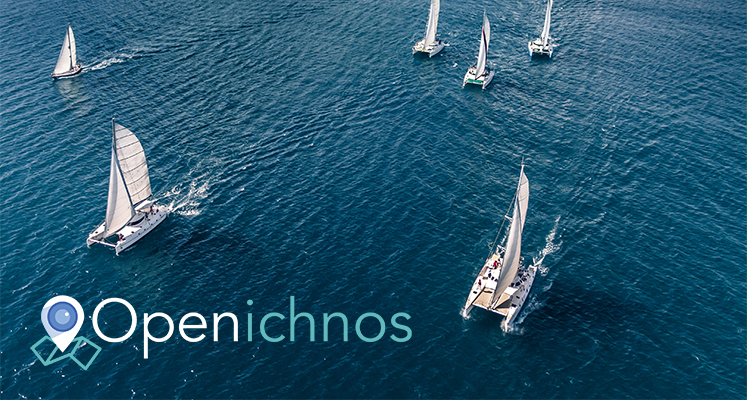 With many charterers already monitoring their fleets with Openichnos it is easy for you to choose the most complete and value for money solution in the market! So here we are, explaining in simple words what you should look for while choosing your tracking & monitoring solution. Improve efficiency, keep your boat looking good for the season and avoid much costlier future repairs. Remote vessel monitoring involves a device on board that collects information from sensors and controls and then is transmitted ashore so you can easily view it in your dashboard. Everyone who owns a boat or manages a fleet is aware of the risks involved in order to keep both the asset and the people on board safe and secure.